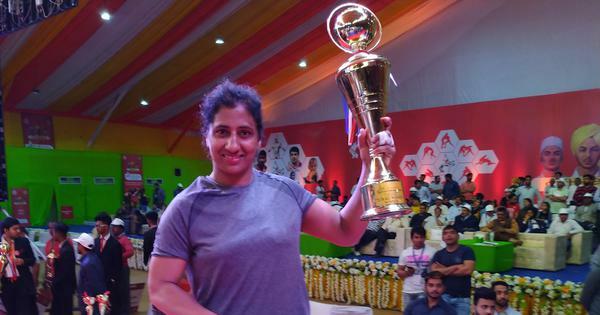 Pooja Dhanda’s medals at CWG and World Championships added to the success of Indian wrestling in 2018. 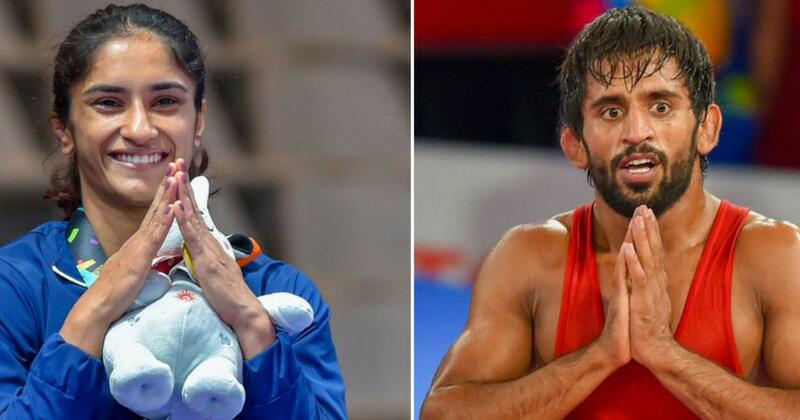 Bajrang Punia and Vinesh Phogat, who clinched gold medals at Asian Games, headlined Indian wrestling in 2018. The year was largely forgettable for Sushil Kumar – India’s only double Olympic-medallist – and Sakshi Malik – the country’s first and only woman wrestler to win a medal at the biggest stage. The national federation’s decision to introduce a contracts system for 150 grapplers in India is set to make the sport more professional. It was not just Bajrang and Vinesh’s gold medals but the manner in which the two won them that raised India’s hopes at the Tokyo Games in 2020. Vinesh began her victorious Jakarta campaign with a win over Chinese Yanan Sun (against whom she suffered the career-threatening knee injury that ended her Rio Olympics campaign). In the next bout, she defeated Korea’s Hyungjoo Kim by technical superiority, ending the bout with a four-point throw. Her semi-final lasted just 75 seconds as she moved into the final with a ‘fitley’ and grabbed the gold with ease, outplaying Japan’s Yuki Irie. These are the same opponents, who are likely to figure in the 50kg category in Tokyo. Vinesh, hence, will be a strong contender for a medal at the Games. While Vinesh missed out on adding a World Championship medal to her kitty due to an injury, Bajrang won a silver at Budapest Worlds to end the year with medals at every major championship this season. However, the defeat in the world championship final was a reminder that his defence on the leg attack is still a work in progress. Japan’s Takuto Otoguro kept attacking Bajrang’s right leg and he could not find a way out. He had to settle for a second-place finish. This was after his dominating show throughout the year at the CWG, Tbilisi Grand Prix, Yasar Dogu International and Asian Games. Bajrang ended the year as world number one in 65kg, though an elbow injury pegged him back slightly. Sushil won the Commonwealth Games (CWG) gold in an arguably easy field. But in the Asian Games, he lost in the first round. But he’s confident of adding a third Olympic medal in Tokyo. Sakshi, 26, won a bronze medal at the CWG but couldn’t get past the first round at the Asian Games. She admitted that she needs to be mentally stronger to pull off close bouts. 2019 – wherein the World Championship will be a chance to book Olympic quota berths – will be a crucial year for both. Before the World Championship in September, there will be plenty of events (including the Asian Championship in Ashgabat) that would indicate the progress of Sakshi and Sushil. Despite not being in great form, both wrestlers won the national title in their respective categories. The Phogats – Ritu, Sangeeta, Babita and Geeta – missed out on appearing for Asian Games trials. But Pooja Dhanda, by clinching a bronze medal at the World Championship and a gold at CWG, has become a sensation in Indian wrestling. In most of her bouts, she trailed overwhelmingly but managed to bridge the gap and tilt the result in her favour. This was in complete contrast to what Sakshi was doing. Pooja became only the fourth Indian woman after Alka Tomar, Geeta and Babita to win a medal at the Worlds. The Wrestling Federation of India (WFI) pumped money into the sport by striking a deal with the Tata Motors. In a three-year deal as Indian wrestling’s principal sponsor, Tata Motors will support the development of the sport at various levels. The WFI, due to the deal, has offered central contracts to 150 wrestlers. The top A Grade, which offers Rs 30 lakh as support, initially had Bajrang, Vinesh and Pooja but WFI later added Sushil and Sakshi. The coming year is an important one for all Olympic disciplines and Indian wrestling can only hope for better results with foreign coaches set to join the national camp. For the first time, the WFI has managed to procure services of a coach from Asian powerhouse Iran. Hossein Karimi is set to join along with Andrew Cook of USA and Georgia’s Temo Kazarashvili on a one-year contract.